What would Thomas Edison be working on if he were alive today? Do you enjoy books and reading? Sign up for the To Be Read e-newsletter today – www.tobereadbooks.com. I recently discovered the great 10 Golden Rules of Internet Marketing podcast. If you have listened to the podcast, I highly recommend it. As an aside, I originally discovered Jay Berkowitz of 10 Golden Rules from an interview on Cliff Ravenscraft’s Podcast Answer Man podcast. In episode 17, Jay interviewed Sarah Miller Caldicott, great-grand niece of Thomas Edison, and co-author of Innovate Like Edison: The Success System of America’s Greatest Inventor . I’ve been a huge, huge fan of Thomas Edison for more than 20 years. I distinctly remember reading a voluminous biography of Edison in high school. At the time, a lot of the background about Edison’s business dealings, contracts, negotiations, litigation, flew right over my head, but Edison’s passion for knowledge and invention certainly captured my attention. Since then, I’ve read several other Edison biographies, and I’ve had a copy of Innovate Like Edison: The Success System of America’s Greatest Inventor in my To Be Read pile for ages. In the podcast, Jay asked Sarah Miller Caldicott what Edison would be working on if he were alive today, and that question immediately captured my attention. Caldicott mentioned social networking (because Thomas Edison was known for cultivating friendships and working relationships with people he could learn from), and she also mentioned Edison would probably use the Web to keep track of international scientific experiments and developments, because even when he was alive he tried to stay abreast of what European inventors were working on. I also wonder what Edison would be interested in and working on today. Twitter – Yes, Twitter has jumped the shark twice this week alone. Yet, Edison would have been fascinated by the communication implications of Twitter. Edison got his start first as a telegraph operator, and his first inventions were telegraph related. Semantic web – I think Edison would look at the Web today, and inevitably ask, what’s next. He would want to figure out some way to easily structure the data already on the web – text, video, and audio – so that computers could act on that data and lead to web-based apps we can’t even dream of today. Electric vehicles – Edison would almost certainly be ringing up Elon Musk, head of Tesla Motors for a lunch or dinner meeting. Only months before his death Edison oversaw the introduction of electric trains on the Lackawanna Railroad in suburban New Jersey. 3-D movie technology – Edison invented the kinetoscope, an early motion picture exhibition device. Edison would be fascinated with current 3-D movie technology and would be interested in how he could improve and expand on the 3-D technology. Smartphones – While most people associate Edison with inventing the incandescent lightbulb, he also invented the phonograph and recorded sound. I think he’d be fascinated with smartphones and the computing power that can be held literally in one hand. 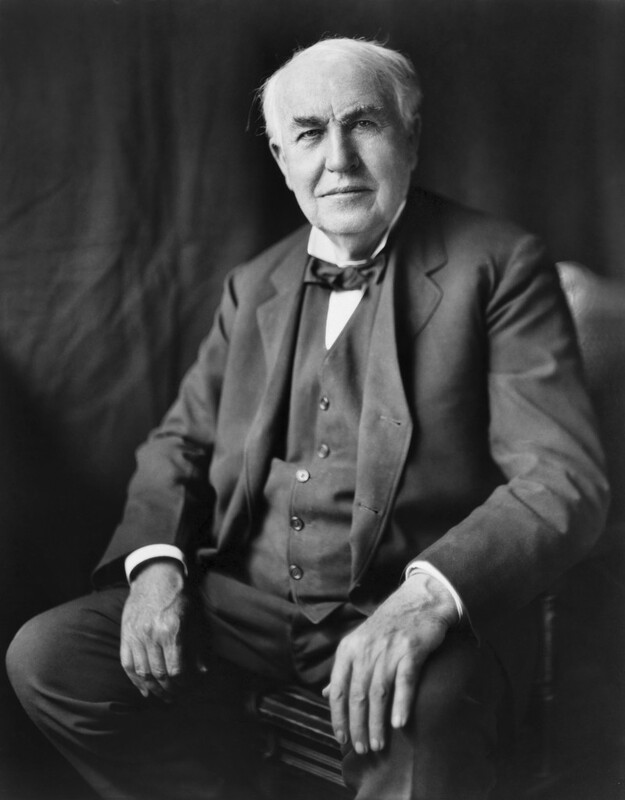 What do you think Thomas Edison would be working on if he were alive today?